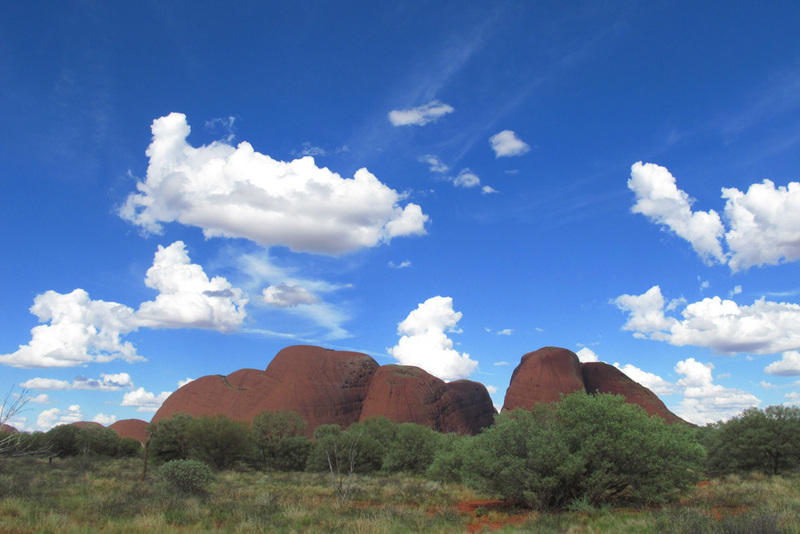 The amazing rock of Kata Tjuta are hardly ever talked about as they are the shadow of their far more famous and far more spiritually important neighbor Uluru. (Ayers Rock) The rock here is just as red and the sunset is breaktaking. 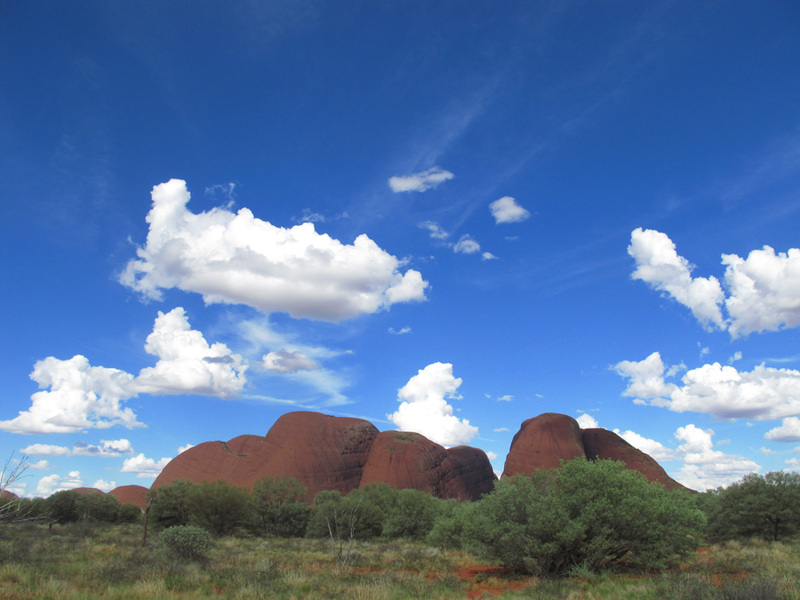 On a sunny afternoon, the sky looks neon above the bright colors of Kata Tjuta.